How fitting that our inaugural award go to the man who pretty much defined “Playing Like a Raven,” as he has been setting the gold standard in B’More since the team’s inception in 1996. 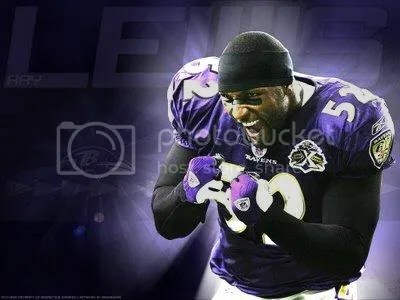 With his 12 tackle, 1 forced fumble performance, which included what he called the best play of his career, the game-ending hit on Darren Sproles, Ray Ray, as always, played like a Raven. 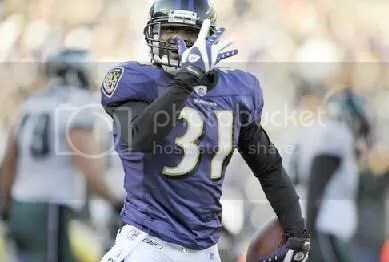 Washington loves to do the “You Can’t See Me” dance whenever he makes a play. Well, Fabe, on Sunday EVERYBODY could see you…see you getting torched again, and again, and again. The entire secondary had a rough day in San Diego, but Washington had the worst day of the bunch. To cap it off, his bad day ended with a likely concussion suffered with about 7 minutes left in the game. Washington’s status for this week is still uncertain, but if he does see the field, he will need to remind himself to play like a damn Raven this time. We forgive ya Fabe, but let’s pick up the play from here on out. This entry was posted on September 22, 2009 at 11:32 am and is filed under Ravens. You can follow any responses to this entry through the RSS 2.0 feed. You can leave a response, or trackback from your own site. How about.. play like a goob? I hear goob tore it up in flag football last week…so that might not work, urmom.